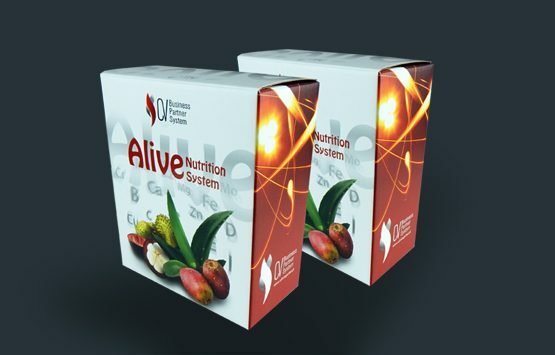 Unique solutions, dispensing and collective packaging designed for your product. Choose from a variety of packaging shapes. 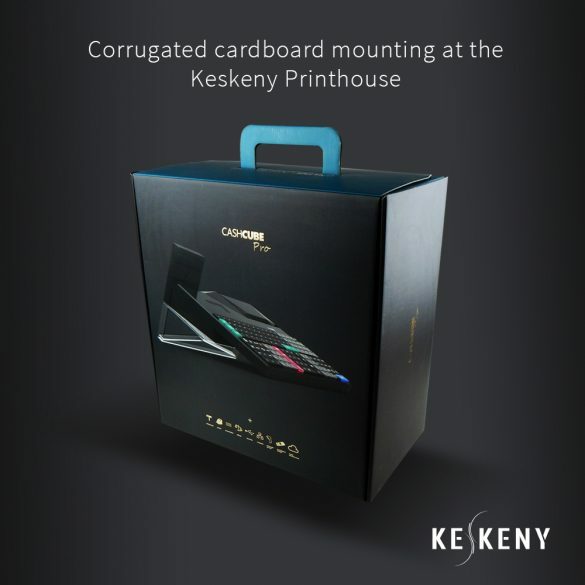 Durable premium category packaging from corrugated fiberboard. We offer solutions for everything from games to electronic goods, clothing, books or other manufactured goods. The right choice if it is important to protect your product, to transport it easily and to have low space requirements for the packaging. 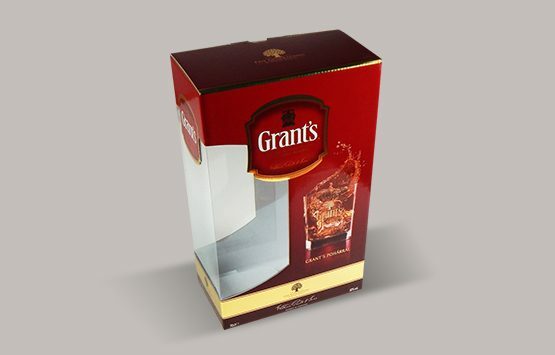 Packaging in different sizes and shapes are available for quality wines and extraordinary beverages. 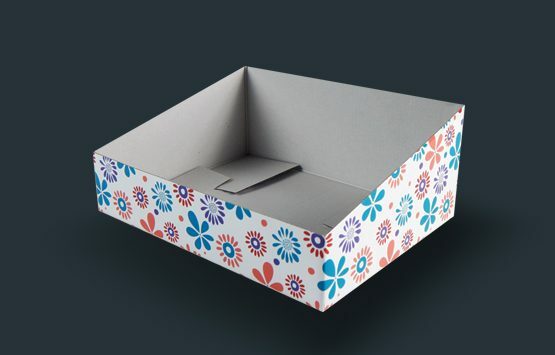 Packaging material made out of corrugated sheet is heavy-duty, perfectly printable, eco-friendly and fully recyclable. Corrugated paper is made by mounting together a corrugated paper layer and a smooth top layer. The corrugated paper sheet consists of several corrugated layers and top layers, thus its material has a higher loading capacity. The greatest advantage of corrugated fiberboard boxes is that it protects the inserted product, it’s aesthetic and has a broad application area. We recommend: for fabricating transport, collective and display boxes, producing/distributing companies for food, manufactured goods and beverages. The product packaging provides highest protection even for fragile and expensive products. 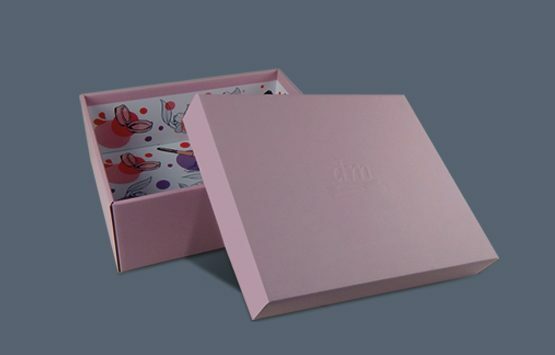 There is a huge variety of materials and extraordinary surface treatment procedures in order to be attractive and eye-catching, besides protecting the packaging. Proper packaging, storage and transport boxes for manufactured goods, games, electronic goods and food. Transport boxes are made with different closures according to the demands. The boxes are collapsible, thus have low space requirement. Packaging of extraordinary beverages, pálinka, one or more bottled wines in boxes with different size and shape. Various inserts can be placed in the packaging, thus promotional gifts can be added to the beverage. We offer corrugated fiberboard trays for diverse use. It doesn’t matter if we’re talking about packaging of vegetables, fruits, small pastry or serving prepared dishes or streetfood. 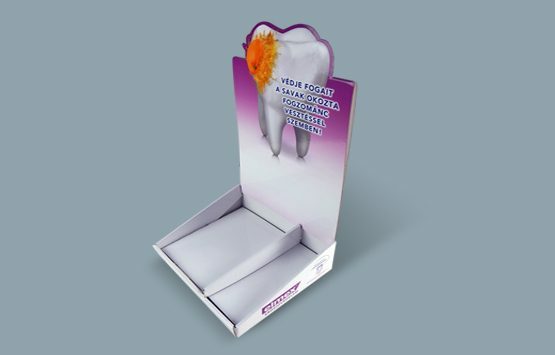 Tabletop, wall or advertising display for the introduction and promotion of new products. The displays meet the requirements of our clients. 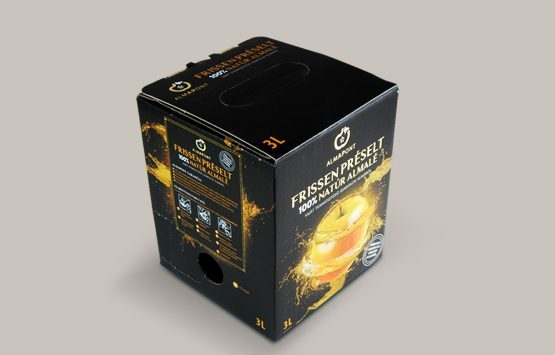 Bag in box is a space efficient solution for packaging larger amounts of beverages because there is no need for bottles. It can be used for transport and storage of liquids from three to five liters. Popular and frequently used product. 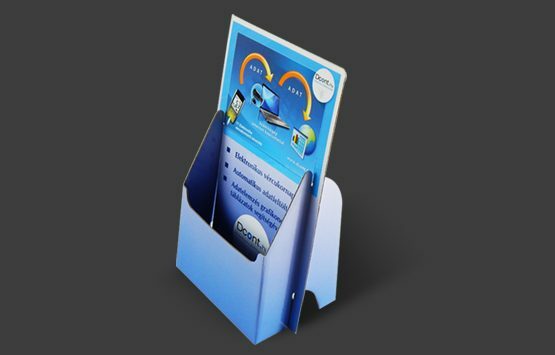 It stores free brochures and leaflets, but is an excellent advertising surface as well. It may be used to convey messages other than the content of the documents stored in it, to draw attention to sale promotions and special offers.